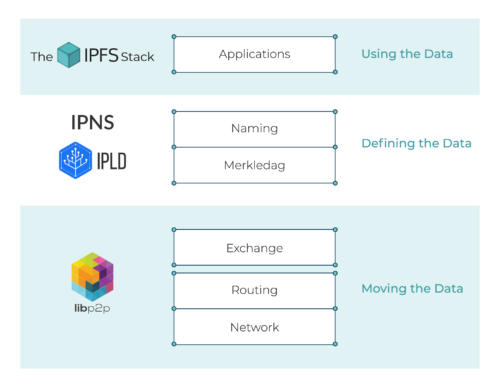 // read data back from IPFS: CID is the only identifier you need! Kyle Drake is a developer that is currently working on IPFS at Protocol Labs. Marcin Rataj is a carbon based lifeform working on IPFS in Web Browsers at Protocol Labs. So how is IPFS different to FreeNet, and other similar projects that have existed since the late 1990s? Why will IPFS succeed where they failed to gain traction? Also, how it IPFS different to similar contemporary projects like Solid or Urbit? We live in a dynamic world and it is difficult to predict the future. IPFS was designed with that in mind: spec-driven, built on top of contemporary technologies, with future-proofing primitives included out of the box. IPFS does not force users to pick a specific way of managing identity, doing access controls, using arbitrary data formats or to be stuck with the same crypto primitives forever. Thanks to the modular architecture components like transports, data stores, routing or even cryptographic hash used for content-addressing can be swapped or upgraded to address specific needs or react to future changes in technology. Code is driven by high level abstractions. One can use parts of IPFS stack without running IPFS itself. We already see standalone projects growing around that idea (https://libp2p.io, https://multiformats.io, http://ipld.io). It is a part of a much bigger puzzle, but I feel this future-proof way of building reusable components is one of key reasons why people and organizations join our community. IPFS is already gaining traction. searching or asking at http://discuss.ipfs.io is a much better medium for getting a detailed answer. AFAIK SOLID’s focus is at higher abstraction layers, namely linked-data, which means things like “pod” storage could (in theory) be built on top of IPFS and IPLD.